ISLAMABAD: The water quality standards of Rawal Dam have been reported to be satisfactory as contamination levels are recorded as less harmful and hazardous. ‘PAK-EPA teams have been collecting samples from Rawal Dam to ascertain pollutant levels in the water, however, based on recent observations there is no serious threat posed to the water quality,’ a PAK-EPA official told the media. “Water quality management and observation was the mandate of Water and Sanitation Agency (WASA) which also shared its report regularly with PAK-EPA,” she added. Moreover, the water was chlorinated through water treatment plant set up at the reservoir which used to treat all of the water coming through the dam. There was no possible room left for unhygienic water supply under these circumstances, she added. It may be mentioned that extreme levels of water contamination had caused large number of fish to die last year which raised concerns among the masses. Islamabad Capital Territory (ICT) Fisheries Department Director Ghoufran Shehzad told the media that the housings established in the catchment areas of Rawal Dam including Banni Gala and other areas were dumping their household untreated waste into the dam which was explicitly damaging marine life. “Soaking pits could help reduce the risk which has not been built by the locals residing in the vicinity where few of them have implemented it despite notices by the authorities,” he added. A WASA official informed that water chlorination was carried out in the treatment plant at Rawal Dam in line with the World Health Organisation prescribed standards. “The water sampling has been carried out at the outer and inner inlets of the treatment plant to assess the water quality,” he added. 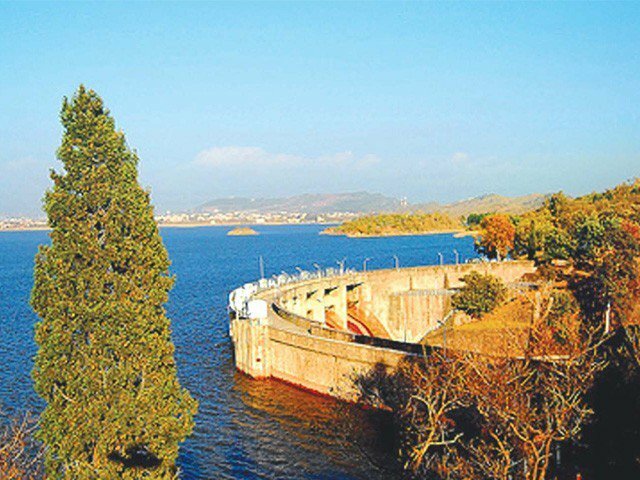 Regarding the damage to marine life in Rawal Dam reported last year, he stated that the damage occurred due to reduced levels of dissolved oxygen in the reservoir’s water. He added that it happened due to the stagnation of water in the dam and less rainfall during that season. He said this issue was sub-judice in the Supreme Court of Pakistan. Whereas Pakistan Council of Research in Water Resources (PCRWR), WASA, PAK-EPA, Environment Protection Department (EPD) Punjab and Pakistan Council of Scientific and Industrial Research (PCSIR) jointly formed a report over the issue and submitted it to the court.